Tornado season ramps up this month. Seconds count when your life is on the line. Your ability to quickly react to a dangerous situation is critical. Knowing how and when to act is especially important when severe weather bears down on your home or office. Warnings from meteorologists are the best way you can keep yourself safe from dangerous weather. If you wait until you can hear the wind or see the water rising, it’s probably too late to get to safety. Having a decent amount of lead time to get you and your family to a safe place can save your life, and it’s possible if you know how to get the alerts as fast as possible. 1. YOUR CELL PHONE CAN SAVE YOUR LIFE. Most modern smartphones are equipped with a nifty feature known as Wireless Emergency Alerts (WEA). If you own one, you’ve likely been startled by the abrupt, screeching tone that suddenly emanates from your device. These alerts are targeted to you based on the nearest cell phone tower to your location. This enables you to receive alerts only for hazards that are expected to affect you and not some town 30 miles away. The WEA can be activated for tornadoes, severe thunderstorms, flash floods, and other local emergencies like dust storms, hazmat situations, and even AMBER Alerts. However, these alerts only help if you don’t shut them off. Lots of people wind up disabling their phone’s emergency alerts after the first unwanted interruption. That’s not a good idea. The alerts are proven life-savers. Just recently, eight people in southern Georgia sought shelter after their cell phones alerted them to an approaching tornado. The storm destroyed the home, yet everyone inside survived. Wireless Emergency Alerts are enabled by default on iOS and Android devices. You can check your settings on an iOS device by opening your Settings app and looking under the “notifications” option. If you have an Android device, look for the “emergency alerts” option in the settings of your phone’s default text messaging app. 2. SPRING FOR A WEATHER RADIO. It’s always good to have a reliable backup in case severe weather alerts don’t come through on your cell phone. Investing in a NOAA Weather Radio is a smart way to keep you and your family safe when bad weather strikes. Modern weather radios allow you to program your county’s unique six-digit code into the device so it can sound a loud alarm when a watch or warning is issued for your county. Some higher-end devices even allow you to select which alerts you’d like to receive and which you’d rather ignore. NOAA Weather Radios aren’t foolproof—during the April 27, 2011, tornado outbreak, early morning storms knocked out multiple weather radio transmitters before an astonishing 363 tornadoes tore through later that afternoon—but it’s an excellent backup to ensure that you receive an alert if your television goes out or your cell phone doesn’t work. 3. WATCH THE TV NEWS. Getting your news from the television may seem outdated in the age of the internet, but your local television news stations are a great resource for detailed weather information. Most local stations go wall-to-wall with coverage when there are severe thunderstorms or tornadoes in their coverage area, and a trained meteorologist will track the storm with Doppler radar, showing the worst of the storm as it moves from neighborhood to neighborhood. Television is prone to outages and interruptions, but it’s always helpful to listen to a calm voice guiding you through a bad storm. 4. IF ALL ELSE FAILS, FM RADIO STILL EXISTS! If you’re in your car, you can usually switch on the radio and search for a station broadcasting live weather information. 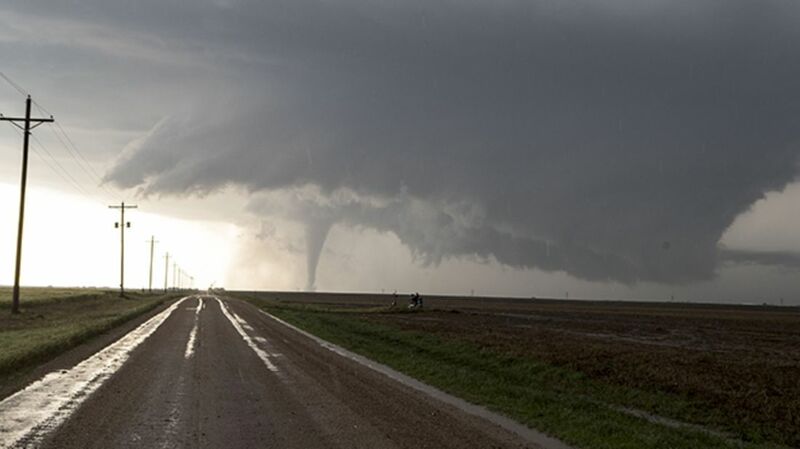 When a particularly dangerous tornado outbreak is in progress, many radio stations—especially in tornado alley—will preempt programming and switch over to a live audio feed from a local television station’s coverage of the storms. 5. TORNADO SIRENS ARE AN UNRELIABLE RELIC OF THE PAST. One of the first ways entire communities were alerted to an approaching tornado was the use of tornado sirens. These loud outdoor alerting systems were designed to tell people who were outdoors to seek shelter inside before the storm arrived. Despite widespread belief in their effectiveness and continued use in rural areas, tornado sirens are an unreliable way to receive warnings. The sirens are not designed to be heard indoors, and variables likes wind direction, power outages, and equipment failures can render them useless. Don’t rely on tornado sirens for your warnings. Stick with modern technology to keep you safe. In a story tailor-made for exhaustive Weather Channel coverage, Denver, Colorado is about to experience one of the more bizarre weather shifts in recent memory. After an expected Tuesday high of 80°F, residents can anticipate a dramatic shift down to 32°F by midday Wednesday, with an initial half-inch of snow accumulation increasing to up to 7 inches by Wednesday night. Put another way: Citizens who need to make sure they hydrate in the warm temperatures Tuesday will have to bring out the parkas the following day. 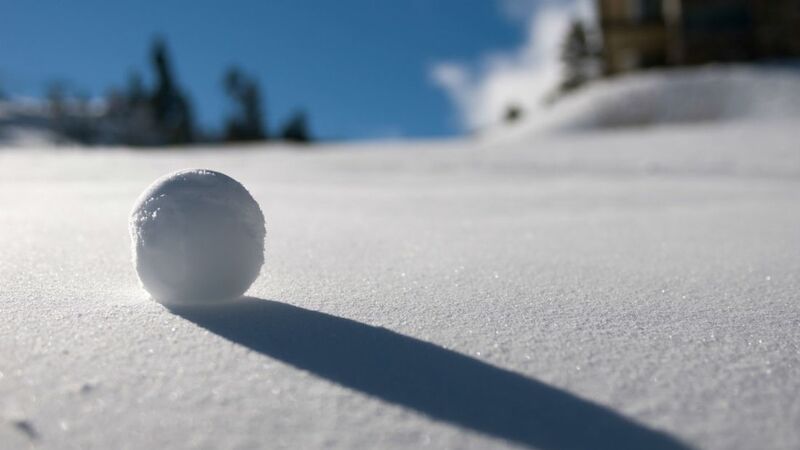 The Denver Post reports that the warm air coming ahead of the cold can result in a clash of air masses, prompting areas of low pressure that can create forceful and damaging weather conditions. The storm could bring winds of up to 60 miles per hour and possibly even cause power outages. Snow accumulation should dissipate by the weekend, when temperatures are expected to climb back into the 60s. The high temperature record for April 9 in Denver is 81°F, set in 1977. The phrase bomb cyclone has re-entered the news this week as parts of the central U.S. face severe weather. Mountain and Midwestern states, including Colorado, Nebraska, Wyoming, and South Dakota, all fall in the path of a winter storm expected to deliver tornadoes, hail, heavy snow, flooding, and hurricane-force winds on Wednesday, March 13 into Thursday. It seems appropriate for a storm that strong to have bomb in its name, but the word actually refers to a meteorological phenomenon and not the cyclone's explosive intensity. According to The Denver Post, the bomb in bomb cyclone stands for bombogenesis. Bombogenesis occurs when a non-tropical storm experiences at least a 24 millibar (the unit used to measure barometric pressure) drop within 24 hours. Low pressure makes for intense storms, so a bomb cyclone is a system that's built up a significant amount strength in a short length of time. This type of storm usually depends on the ocean or another large body of water for its power. During the winter, the relatively warm air coming off the ocean and the cold air above land can collide to create a sharp drop in atmospheric pressure. 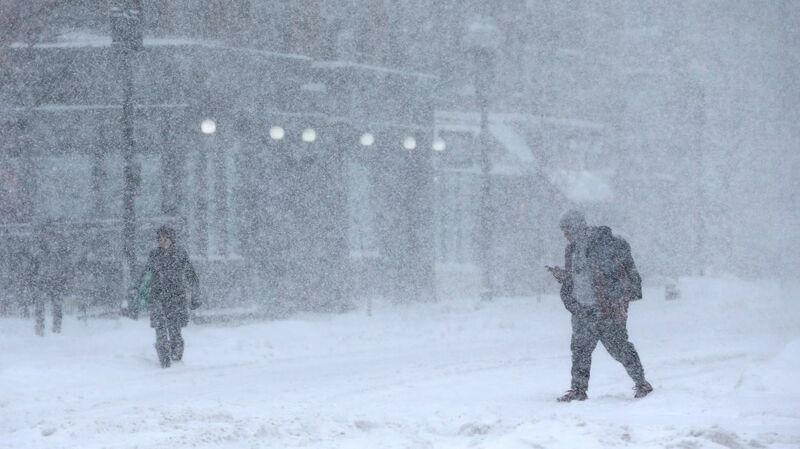 Also known as a winter hurricane, this effect has produced some of the worst snowstorms to ever hit the U.S. The fact that this latest bomb cyclone has formed nowhere near the coast makes it even more remarkable. Rather, a warm, subtropical air mass and a cold, Arctic air mass crossed paths, creating the perfect conditions for a rare bombogenesis over the Rockies and Great Plains states. Central U.S. residents in the bomb cyclone's path have taken great precautions ahead of the storm. Over 1000 flights have been canceled for Wednesday and schools throughout Colorado have closed.